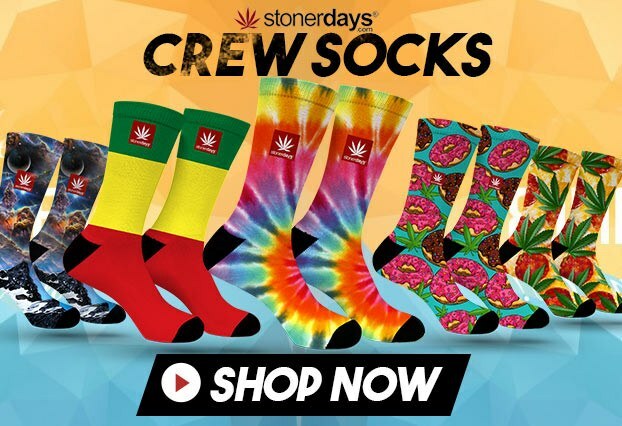 StonerDays Presents Weed Socks the most elaborate and creative designed socks in the world for any stoner. Take a look at what they have been up to and have made here in just the past few months. Those are just a few examples on what our team has come up with in the past couple months. Our team is already working on a new batch and is excited to drop them on everyone! Graphics and artistry is one of a kind. We promote all kinds of artwork done by our fans. If ever we receive an image of design and use it, we will contact. We pride ourselves on making the best Weed Socks on the market. Our team has put endless hours of work and thought into every design. It took mad kush to be this good! This entry was posted in Featured, Stoner Clothing and tagged socks, weed socks.